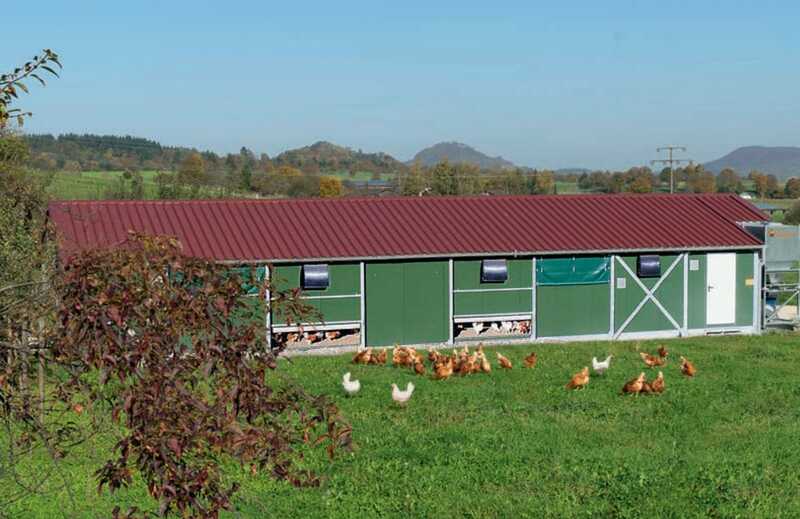 NATURACamp II is a mobile housing system developed by Big Dutchman for organic egg production (with 1,000 layers) or free range and barn egg production (with 1,200 layers). Consumers today demand regional products. The mobile house allows farmers to market their eggs directly and is thus an ideal solution to meet the consumers’ request. A basic condition for this is the animal-friendly management and well-being of the birds. manure belts improve hygiene and create an ideal house climate.